Good weather boosts world cereal production with 2014 crop projections up 14 million tonnes. FAO's monthly food price index registered another drop in August, continuing a 5-month downward run and reaching its lowest level since September 2010. The index's August average of 196.6 points represents a decrease of 7.3 points (3.6 percent) from July. With the exception of meat, prices for all of the commodities measured by the index dipped markedly. Dairy led the pack, with FAO's sub-index for dairy products averaging 200.8 points in August, down 25.3 points (11.2 percent) versus July and 46.8 points (18.9 percent) compared to a year ago — the result of abundant supplies for export coupled with reduced import demand. Russia's prohibition at the beginning of the month on imports of dairy products from several countries helped depress prices, while slackening imports of whole milk powder by China (the world's largest importer) also contributed to market uncertainty. FAO's price index for cereals averaged 182.5 points in August, down 2.8 points (1.5 percent) from last month and 24.2 points (11.7 percent) versus August 2013. With 2014 being another record year for wheat production, prices for the staple grain continued to slide in August, reaching their lowest value since July 2010. Similarly, near-ideal growing conditions in key producing areas, coupled with abundant stocks, have seen maize prices retreat to a 4-year low. 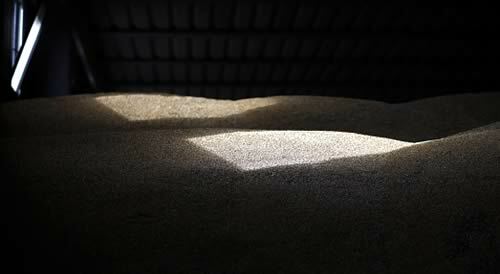 However rice bucked the trend in grains, with its prices rising in August, reflecting increased import demand, lower-than-expected releases from stockpiles by Thailand, and unfavorable weather affecting some crops in Asia. "Rice supplies appear to be ample world-wide, but stocks are very much concentrated in a small number of countries, and often owned by governments. This means that these countries can very much influence world prices, by deciding whether to let those supplies flow to the market or not," said FAO economist Concepción Calpe. "The fact that Thailand is still limiting sales of the huge rice volume held in public warehouses has been one of the principal factors underpinning world prices in recent months." FAO's Food Price Index is a trade-weighted index that measures prices of five major food commodities on international markets: in addition to sub-indices for prices of cereals, it also tracks meat, dairy products, vegetable oils, and sugar. The vegetable oils sub-index clocked in at 166.6 points in August, 14.5 points (8 percent) less than the previous month and the lowest level since November 2009. FAO's index of sugar prices averaged 244.3 points in last month, down by 14.8 points (5.7 percent) from July, but still 2.2 points (1 percent) higher than one year ago. And its meat sub-index averaged 207.3 points in August, 2.5 points (1.2 percent) more than in July but 25 points (14 percent) above last year. Meanwhile FAO's monthly Cereal Supply and Demand Brief, also released today, has upped the Organization's forecast for 2014 world cereal production by 14 million tonnes. At 2.5 billion tonnes (excluding rice in milled terms), the new projection would be 0.5 percent (13 million tonnes) short of last year's record. More optimistic wheat forecasts were mostly behind the revision in cereal production compared to last month. Wheat production is now expected to reach 716.5 million tonnes — also just shy of last year's record harvest. Wheat crops in China, the Russian Federation, Ukraine and the United States are now projected to be larger than previously anticipated. And production in Argentina, Brazil, China, the EU, India, and the Russian Federation has increased significantly, offsetting reductions in Australia, the United States and, especially, Canada — where the latest official forecast points to a decline of almost 10 million tonnes (26 percent). For rice, however, the production outlook worsened compared to July by about 3 million tonnes, as an erratic rainfall pattern and concerns over El Niño's impacts on crops early next year marred prospects in China, India, Indonesia, the Philippines and Sri Lanka. Still, at 500.4 million tonnes, global rice production (in milled rice equivalent ) is forecast to surpass the 2013 harvest by 0.4 percent. All told, the size of global inventories of all cereals is anticipated to rise to their highest levels in 15 years as a result of two years of good harvests. FAO now sees world cereal stocks reaching 616 million tonnes by the close of the seasons in 2015 — 12 million tonnes higher than the previous forecast, and over 6 percent (37 million tonnes) over stock levels at the start of the 2014-2015 season.